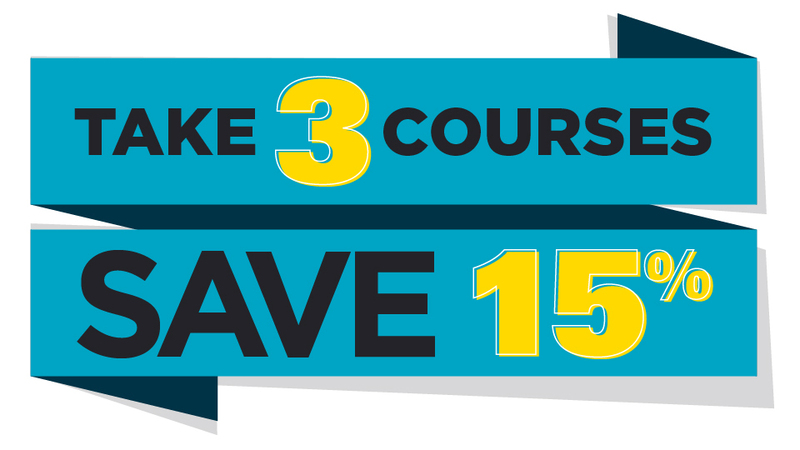 Receive a 15 percent discount when you register and pay for three or more continuing education courses in a single transaction. Discounts are non-transferable and cannot be combined with other discounts. Any changes to registration will result in a loss of discount. Available for most adult continuing education courses.